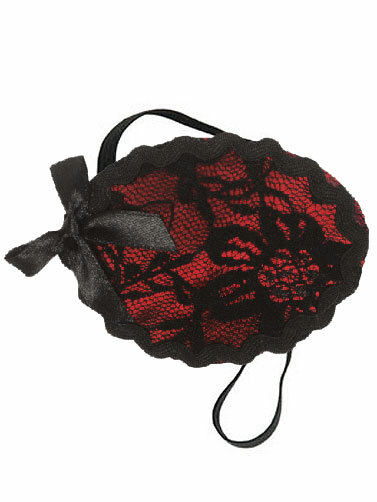 This Black Lace Ladies Eye Patch is fashionable and comfortable to wear. Sure to add flair to your Halloween pirate or Steampunk costume. Red satin patch is covered in black lace with a black ribbon bow. Elastic strap fits snugly around your head.